Does this chapter have hidden depths? Maybe it's her mother next to her ? No, her mother is in this story, but that's someone you've already met. Ohhh .. but the ant-queen said her children only lasted very shortly ! I spotted Rinatta by her distinctive nose, of course. 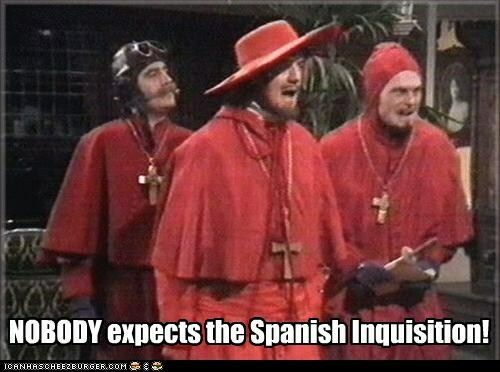 I suppose you weren't expecting the Inquisition? Is it just me or does Lilly seem a lot less calm when she’s out in the open compared to in the tunnels?